Everyone in Jacobsville, Texas, steered clear of taciturn Cy Parks. Except spirited Lisa Monroe. To shield the lovely Lisa from a revenge-seeking desperado, the winter soldier claimed her as his bride. Clearly, Cy was getting possessive of this alluring woman who needed the type of safeguarding only he could provide. But who would protect the beguiling bride from him? He was strong, seductive and set in his ways. She was shy, unassuming and achingly innocent. Together, next-door neighbors Jordan Powell and Libby Collins were like oil and water. Yet when Jordan made it his personal crusade to help Libby hold on to her beloved homestead, everyone in Jacobsville knew it was just a matter of time before wedding bells chimed for these sparring partners. 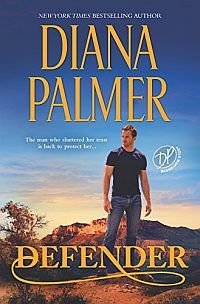 And if truth be told, the taciturn rancher wouldn’t deny the exquisite tenderness that surged through him every time he pulled Libby into his powerful embrace any more than she could resist his breathtaking kisses. But a cattleman’s pride was a force to be reckoned with. 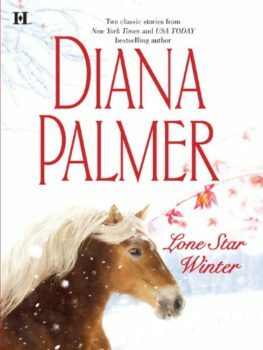 Could Libby accomplish what no woman had before and tame this Long, Tall Texan’s restless heart?